Nestled between high desert plateaus and snowy peaks is the town of Bend. The once quiet lumber town is now an international haven for outdoor enthusiasts, and the Oregon home builders at H. Hudson Homes welcome you to check out their latest projects. H. Hudson Homes’ new modern homes are a fresh interpretation of small house lots in which you trade cramped landscapes for breathtaking views of the mountains. (Don’t forget—the Cascade Mountains, Mt. Bachelor and the Three Sisters are just a drive away.) The Oregon home builders bring you an open floor plan with a detached garage so you have plenty of room to store your sports equipment. Plus, ample natural light that fills the home as the area boasts nearly 300 days of sunshine per year. Your dreams live here. 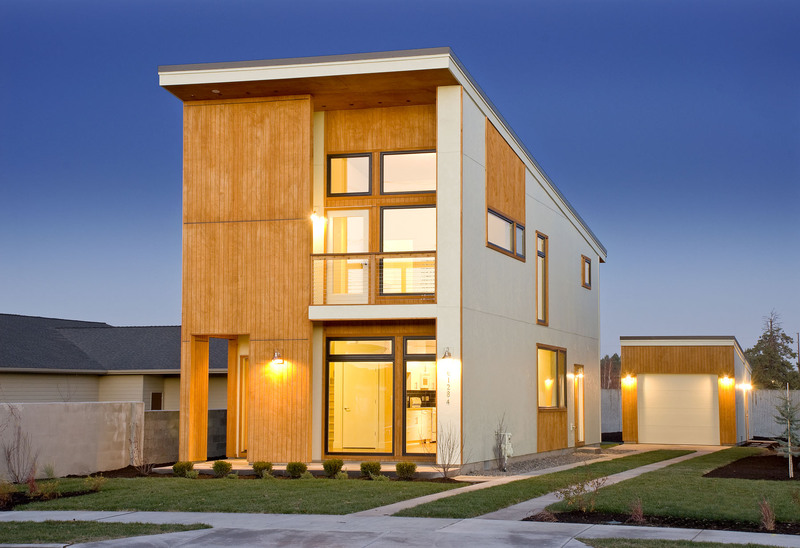 H. Hudson Homes is dedicated to building new modern homes that are as bon ton as they are sustainable. Their latest set of infill homes offer cutting edge green designs that will make you feel proud of your purchase for years to come.